We are back and ready to reserve time now at our condo starting January 1,2019. We have been going through extensive renovations with the building.This condo is everything we look for when going on vacation.We keep it clean and comfortable and we have added a 44”flatscreen T.V..A new mattress firm mattress with head tilt function. We have also Upgraded the sofa bed. We watch sunrise while having our coffee in the morning.The beach is breezy and the ocean is always so clear.The Tiki bar is between the pools for beverages or you can bring your own.There are good restaurants all around and plenty to do for the kids here or at the boardwalk. we are approaching retirement and really enjoy taking trips.The beach is one of our favorite places. Only 1 hour from Disney. The room was clean and location is great. The ocean view is perfect and there is a Publix and restaurants across the street. However, do not expect wifi access as is advertized. Even after someone came to supposedly fix it, 90% of the time you could not get on. This guest is right there has been a problem with Wi-Fi since it reopened. They have been working on it and hopefully they have it working again. Clean. Great being on the beach! Great communication! Thanks bunches!! Thanks so much for your kind words. It has been a difficult time. My Husband, College Daughter and myself spent 7 nights and days last week in this Unit. We had a great week of fun in the sun. The unit had everything we needed and was clean and spacious and unbelievably affordable for what we got. I only learned last year about VRBO and me and my husband rented a room on the 11th floor. I'd take this unit over that one anyday. If you want a fun affordable stay then I recommend this unit and I haven't even been back at week and today I received my deposit back 😊. I rated this unit as Excellent because it truly was.. 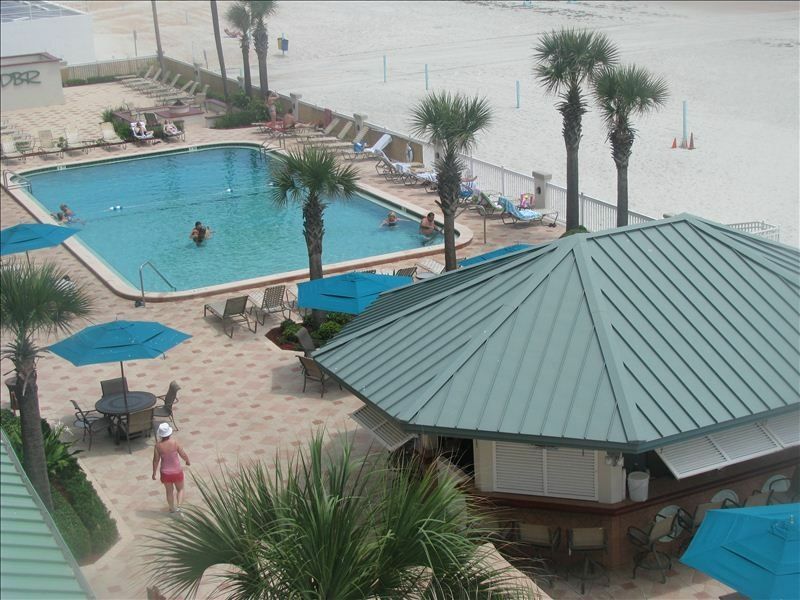 This was our 4th visit to Daytona Beach Resort, first time staying in this condo. Everything was as it was described. Both my sons and I loved this condo, everything we needed was there. The only thing my sons complained about was the wifi, their tablets wouldn't pick it up in the room. But to me that was no big deal. We were there for vacation and not to be on electronics. We will definitely be returning next year. Thank you to Chris for allowing us to stay here. I would highly recommend this condo to anyone wishing to visit Daytona.